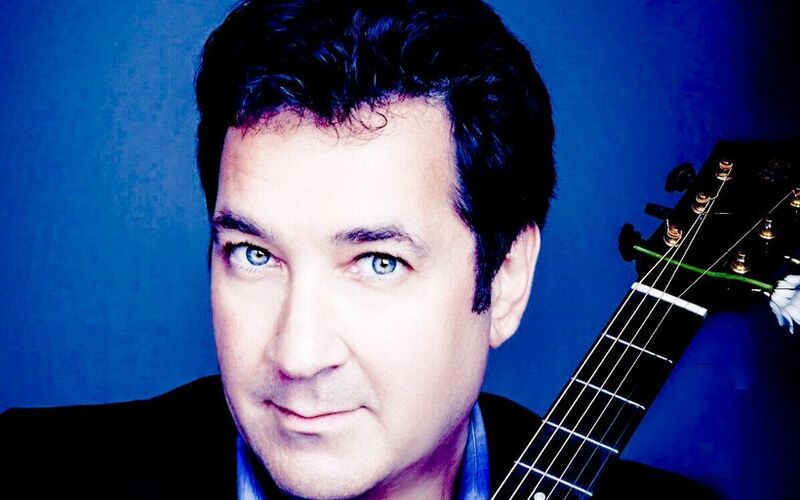 San Francisco Bay area composer and guitarist Lawrence Blatt often combines classical guitar and modern steel-string acoustic guitar techniques, and is inspired by his passion for uniting music, math and harmonics. Earlier this week, Blatt was named by Music Resource Group (MRG) as an Official Nominee in The 15th annual Independent Music Awards (The IMAs), the influential awards program for independent artists and releases. Produced by Will Ackerman, this is the latest of Blatt's five albums to be released through his indie label, LMB Music. Longitudes and Latitudes is aptly titled. Blatt loves to travel, and each tune on the album was penned in a unique spot around the world. The 15-track set on Longitudes and Latitudes is a soulful, exotic and stylistically-diverse musical travelogue including performances by top instrumentalists. In addition to Ackerman on the Klein Acoustic Guitar, the new album features the Hammond B-3 organ (Tom Eaton), piano (Kelly Park, Kori Linae Carothers), saxophone (Premik Russell Tubbs, Melecio Magdaluyo), electric bass (Sam Bevan), electric guitar (Marc Shulman), violin (Charlie Bisharat, Lila Sklar), clarinet (the late Jim Rothermel), flugelhorn (Jeff Oster) and percussion (Jeff Haynes). Blatt has been playing acoustic guitar for over 30 years, and is proud to say that his music career began in Van Nuys at age 7, when his Erwin Street Elementary public school teacher placed a violin in his hands. Today, he continues to advocate for music programs in the schools. He performs his original compositions for finger-style-guitar in the San Francisco Bay area, and his recordings are played on media outlets throughout the world. His music -- heartwarming, soothing, and relaxing -- consists of layers of guitar work decorated with luscious melodies and percussive moods. He often plays in open tunings with a single guitar used to create the rhythm, bass and lead melody all at once. All of Blatt's music, tunings and sheet music can be explored at www.LawrenceBlatt.com. MRG accepts 100s of submissions, yet only five albums are chosen for the final contest in the New Age album category. Coincidentally, Fiona Joy is one of the other competitors in Blatt's group, and a bandmate on a side project; the two artists make up half of the new age group known as FLOW. Horn player Jeff Oster is also a FLOW member, and is nominated in the Best Live Performance category. All of which bodes well for FLOW, who are releasing their new album in the latter part of 2017. The 15th Independent Music Award Winners will be announced November 12th from Lincoln Center for the Performing Arts in New York City during a free, day long music festival showcasing exceptional IMA talent. Kicking off the event will be a 'town-hall' meeting where fans, bands and industry discuss new ways to keep independent arts alive and prospering. Longitudes & Latitudes is available at iTunes, Amazon, CD Baby, all digital platforms; visit www.LawrenceBlatt.com for music, videos, images and Lawrence's complete discography.